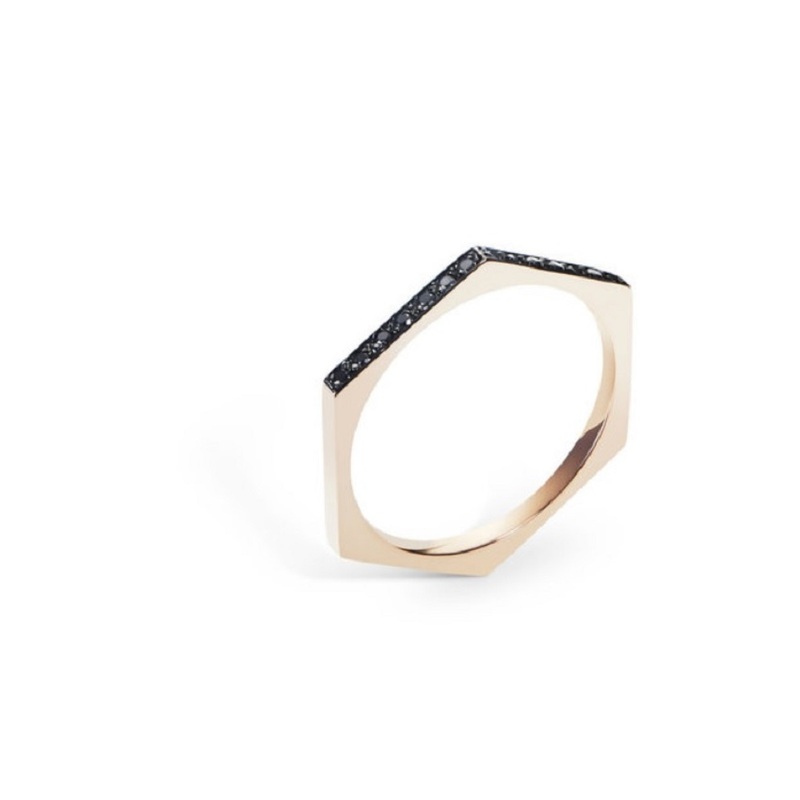 With edgy sophistication, minimalist fine jewelry by Selin Kent offers understated elegance with high visual impact. 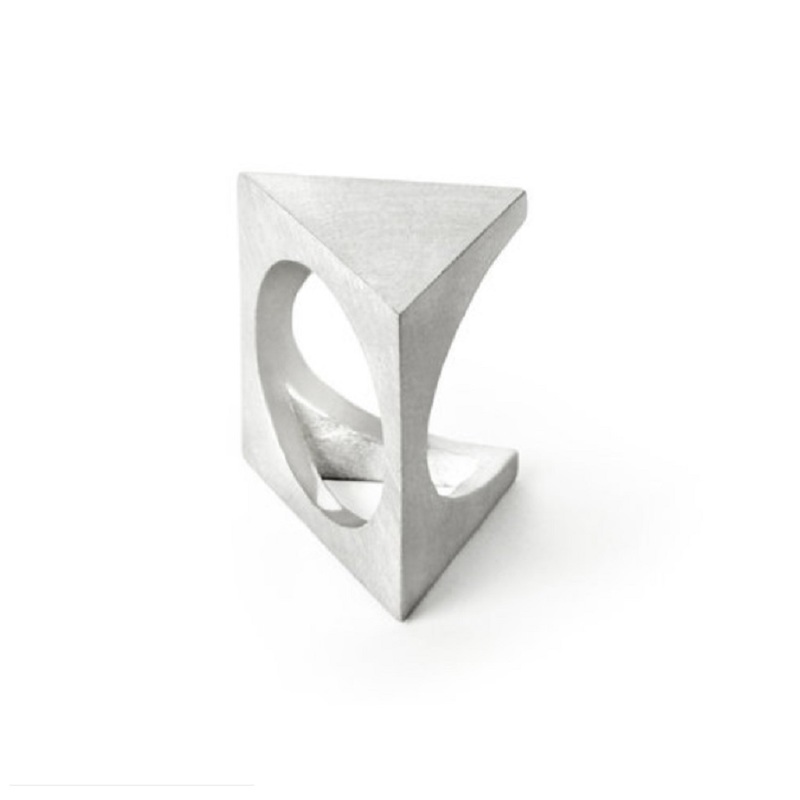 As designer Mary Jurek recently told me, “The standards for good design have already been set.” When I look at minimalist fine jewelry by Selin Kent, I imagine she agrees with that statement. 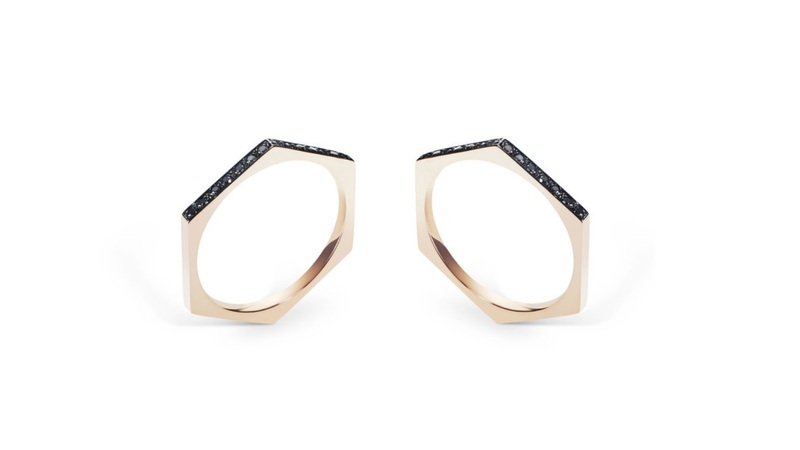 The jewelry designer crafts precious metals into geometric shapes that are somehow airy and eye-popping simultaneously. Hers are statement pieces that can ground a look without being heavy or obtrusive. Kent is a New York-based designer that hails from Istanbul, Turkey. As a global citizen, she’s lived in Paris, Vienna, Istanbul and now New York. The architectural language of these cities have greatly influenced her work. Adept at working with 14 carat gold and sterling silver with or without precious stones, her designs are refined, expertly edited and amazingly cosmopolitan. Everything she creates can travel well and look as chic in Malibu as it does in Macao. Kent sources all of her metals and stones from responsible sources. This means low environmental impact for these high designs. Karen Ring / Selin Kent. 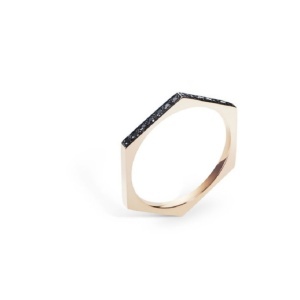 Her Karen ring is a reversible play on triangles, with one end being closed and the other open. So the wearer can emphasis the solid look or the outlined detail depending on mood. Crafted in sterling silver and rhodium plated for a white gold look, the ring is priced at USD $225.00. 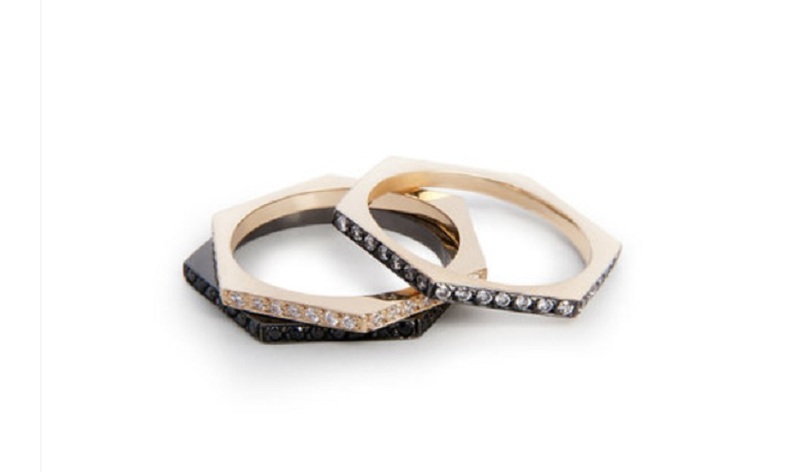 The six-sided Hex band has black diamonds on two sides. The band is available in yellow, rose or white gold. It’s also easily stackable but can also stand alone. Kent has also done variations on this hex design with white diamonds and champagne diamonds at different price points. The Hex band begins at USD $650.00. Hex Bands stacked / Selin Kent.